Have two skills that can disable the enemies, it is impale and voodoo. 2. Most of your gold will be spent on items for the benefit of the team such as Animal Courier, Observer Ward, Sentry Ward, and Smoke of Deceit. 1. You can not use heroes with full of active skill. 1. Impale : The Demon Witch releases his demonic magics into the ground in order to thrust solidified rock spikes along a straight path. This sends all his enemies into the air, only to take damage on their painful impact with the ground. Level 1 - 60 damages, lasts 0.5 second. Level 2 - 130 damages, lasts 1 second. Level 3 - 200 damages, lasts 1.5 seconds. Level 4 - 260 damages, lasts 2 seconds. 2. Voodoo : Transforms an enemy unit into a random critter, disabling special abilities. 3. Mana Drain : Absorbs the magical energies of a target enemy unit by taking mana from it every 0.25 second. Level 1 - 20 mana drained per second, lasts 4 seconds. Level 2 - 40 mana drained per second, lasts 4 seconds. Level 3 - 60 mana drained per second, lasts 4 seconds. Level 4 - 120 mana drained per second, lasts 4 seconds. 4. Finger of Death : Instantly rips at a target, attempting to turn it inside-out. Deals massive damage. Level 1 - Deals 600 damage, 725 damage with Aghanim's Scepter. Level 2 - Deals 725 damage, 875 damage with Aghanim's Scepter. Level 3 - Deals 850 damage, 1025 damage with Aghanim's Scepter. Note : If you are on the mid lane in the early minutes, Take Mana Drain on level 2 and 4. Note : Items on below purchased during early of the match. If your team's carry need courier, bought for him. Become Lane support is the best choice for Lion. 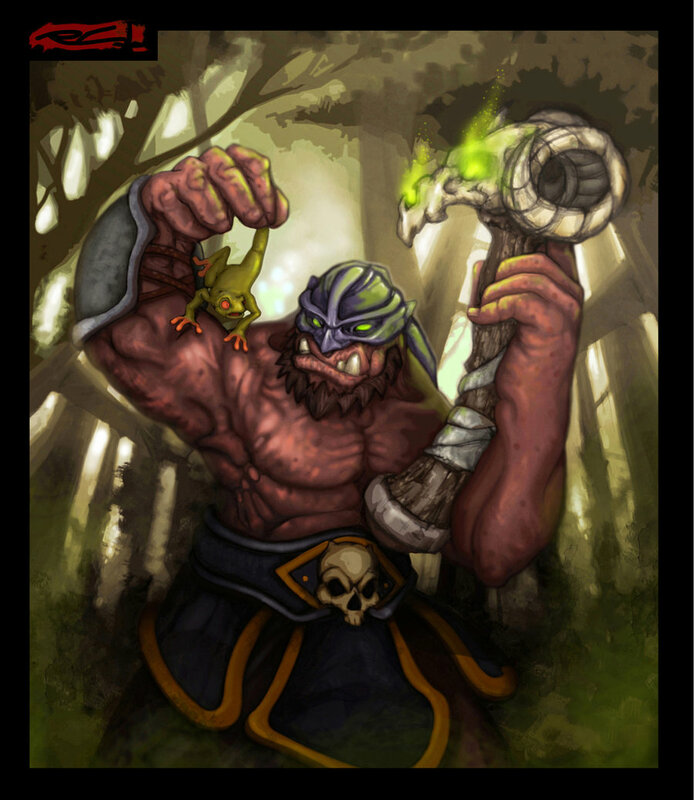 Lane Supports or Babysitters are Heroes who help their team's Carry control the lane in the early stages of the game. Help your team's Carry control the lane so helps him to farm easily. Since you are a ranged hero, you can use this to your advantage by harassing melee heroes that are in your lane. Do not use your ‘Impale’ to harass until you reach level 3. You may use it for a potential first blood or to save yourself and your ally from one. If you want to regenerate mana, use ‘Mana Drain’ on the enemy ranged creep. As before, your role is to stay with your team and assist them in their kills. Use your ‘Finger’ only if your team has no long range damaging spells and no one will be able to reach him. Never aim for a kill for yourself. Also, ward/counter-ward the map. Hard to become babysitter, right? It will be hard for you in late game. Almost all of Lion's skill wouldn't be useful. If you are pushed, Stay away from enemy with "BKB". Assist your team with your stun and disables. If there is a frail enemy that can be killed with ‘Impale’ + ‘Finger’, kill him fast. That's all for Lion The Demon Witch DotA Guide. Enjoy DotA Gamers ! Subscribe us for another hero and item guide, DotA AI map, and latest thing about DotA. its depend on how you play. Usually i take mana drain when i level 2 if the enemy on my line is tanker. Sorry for not make it clear.